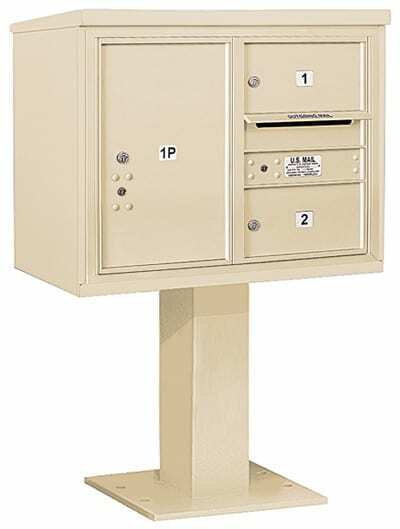 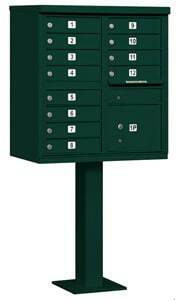 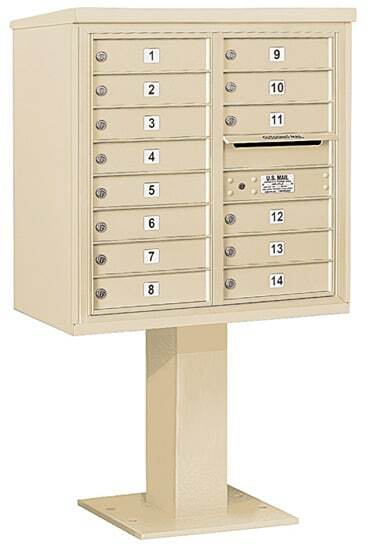 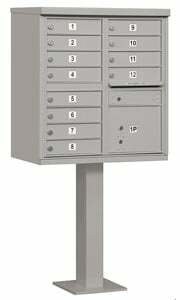 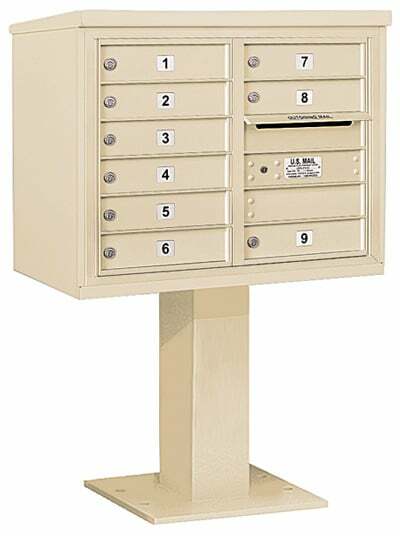 Made of heavy duty aluminum and stainless steel hardware, Salsbury 3300 series U.S.P.S. 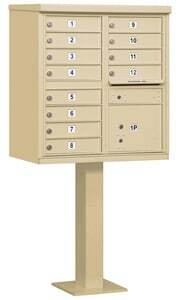 approved Cluster Box Units (CBU’s) are accessed from the front through two (2) easy opening master door panels. The durable and corrosion resistant units feature a powder coated finish available in six contemporary colors. Each pre-numbered aluminum door includes a heavy duty five pin cylinder cam lock with a dust/rain shield and three keys. 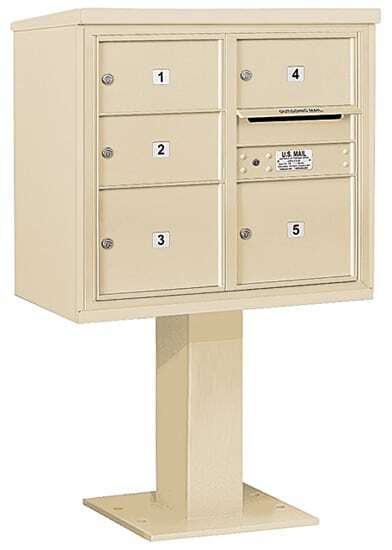 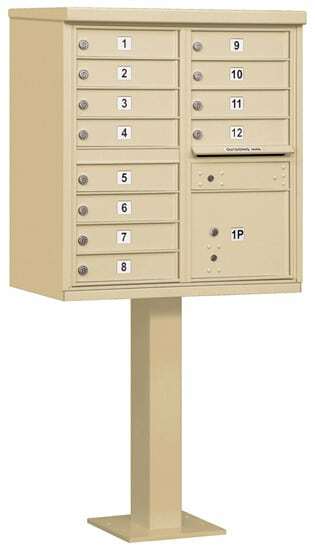 One additional compartment in each unit is labeled “Outgoing Mail” and includes a weather protection flap.